Christmas…it’s a word that for millions brings joy, excitement, and fond memories. The excitement of waking up and finding presents under the tree, of Christmas dinner, and cookies. I used to be one of those people…I used to enjoy this holiday the magic and excitement, the spectacle and the grandeur of it all. I am not one of those people anymore…call me Scrooge or the Grinch…but Christmas is not all it’s cracked up to be. In fact, in my mind, Christmas is no longer Christmas…sure it has the lights, the fat guy in a red suit, songs about Jesus, manger scenes and so on. It looks like Christmas…it smells like Christmas…but it isn’t Christmas anymore. Christmas has been thrown into a getaway van, hog tied and gaged put into the back long and forgotten. Many who read this aren’t going to agree with me…in fact most probably won’t…and that’s ok…perhaps I see the degradation sooner than most people. But if you choose to continue reading be warned…you will never see Christmas the same way again. There are 2 reasons Christmas is no longer Christmas and here they are. 1. Christmas is no longer Christmas, but is Commercialismas (yes, I made it up roll with it). Think about this…Christmas is intended to be a time where we reflect on what was given to us in the person of Jesus. It’s a time where we reflect on that and do our best to mimic that. Now many will object, “Isn’t giving presents on Christmas meant to signify that?” And the point is a valid one…however; the present we received is one that brought hope, redemption, joy, salvation, peace, and love. What gift are you giving that does the same for someone else? No, buying a new game console, or sweater, or any other item falls short of this goal. I think when we look at who God gifted His Son to, we see a surprising revelation. If we really want to reflect God in the giving of gifts…than perhaps we should be giving not to one another…but to those who are in need. People in need of forgiveness, hope, love, mercy, grace, integrity and so on. You see, God gifted His Son to a race of degenerates. To creatures that were so helplessly lost in their own decay that they believed the decay to be valuable. Some will protest (mostly conservatives), “So you want us to give to those who can’t provide for themselves? To the homeless drunk whose choices put him in his predicament? To the woman with 5 kids, all from different fathers who cannot get her head on straight and stop seeking after men for the wrong reasons? They don’t deserve that…they haven’t earned it! I’ll give to whoever I want…and it certainly won’t be them.” Ok…that’s fair…and on some level, I understand it. Working in the welfare system I see more abuse than the government would ever admit (sometimes by the government themselves). But…be grateful that God was not of the same mind. God sent His Son…his treasured, prized, perfect Son for us. Are we any better than the homeless drunk…or the young lady with entirely too many kids from too many fathers? Are you really going to say that YOU are deserving of Jesus? If you are let me stop you…you’re not. None of us are worthy of Him…not a single person reading this post. No, God by His grace, love, mercy, and compassion gave us His Son. So…you want to remember what God has done for us…you have no other choice than to give to the unworthy (and give generously). Otherwise…what business do we have calling it Christmas. Now…notice what I am not saying. Christmas is not talking about that stupid “keep Christ in Christmas” stuff. History lesson real quick…the Χ in Χ-mas was originally used by the Church…not by people hating on Christians. In fact, a symbol of early Christianity was the X or the “chi” in Greek. The Greek letter X is the first letter in Christ. Emperor Constantine affixed the X and Ρ “rho” letters to the shield of his armies to replace the eagle. Both X and Ρ are the first two letters in Χριστος (or Christ). 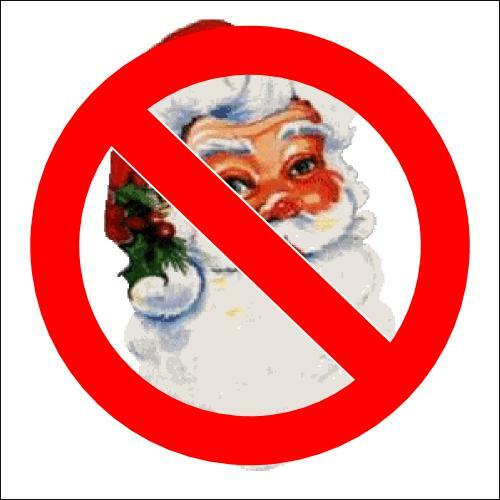 Christians get all up in arms over X-mas…when in reality…there is no harm. These people declare Christ without knowing it! If someone says “happy holidays,” than say it back, no one will come to Christ over you calling it Christmas, or better yet, no one will deny Christ because you responded with a “happy holidays” back. Don’t do damage to the Gospel through arrogance. Now…let me be frank…I’m not one to care about “offending” people. If you’ve read my site long, you would know this. It will not however keep me from being told I am compromising or appeasing secularists, and if that is the way you feel, well than you are entitled to your own opinion. I happen to think that taking part in Commercialismas is catering to secularists more than saying, “Happy Holidays.” I think going into mountains of debt to buy gifts for people who already have more than they need, is appeasing secularists…but that’s just me. At the end of the day…all I want to see is Christmas go back to being Christmas. A time where the people of God come together to remember what was done for them…and the sacrifice that our heavenly Father made for us. A time when the Creator and Master of the universe became one of us. The beginning of a journey that culminates at Easter, never leaving the world the same. Jesus called us to more than we have been…if we truly want to give Him honor, worship, and love we may do well to as He says, “keep my commands,”(Jn. 14:15). Peace and Blessings and as always thank you for reading. I dont know what’s worse: Jesus being reduced to a footnote at Christmas, or the various anti-Christmas rants that people feel compelled to publish at this time of year. I share a measure of your dismay at the commercialism that robs Advent of its meaning. But it’s wise to season your words with grace… pastor. I completely agree that it is wise to season our words with grace. But I’m not sure this post exhibits a lack of grace. It does call Christians to action…and it does offer some harsh realities…but lacking in grace? I dont see how I could have been more gracious? I was referring to terms like “morons” “idiocy” and “stupid” But I really do appreciate your intent! Well…I didn’t call anyone Satan…so i think I’ll be ok. Hopefully, lol. Only in recent years have I noticed this, but I agree with all of your points here. Ok…I’ll bite. Why do you think that? I mean…in a lot of ways…you strike against modern scholarship and historiography. Denying the existence of a person named Jesus that the Gospels are based upon (even if you believe that Jesus was just a man) isn’t a very popular position to take…even among secular scholars. I mean…it was a popular position to take 60 years ago…but modern scholarship seems to be of the opinion that a person named Jesus really did exist, and really was executed by the Romans in Palestine. I mean lets consider some things…many discredit believe that writings about Jesus in Josephus to be fabricated, so we won’t even take that into account. What about Tacitus’ (55CE-117CE) in Annals 15.44 mention of Christus, or the biggest opponents of Jesus the Jewish authorities who even mention him and his crucifixion in the Babylonian Talmud? This is what I find most curious…those who would benefit most from the denial of his existence (the Jews) did not deny it but affirmed it within their own writings. Considering most historical documentation is politically motivated…why would this be in a Jewish text…unless it were true?